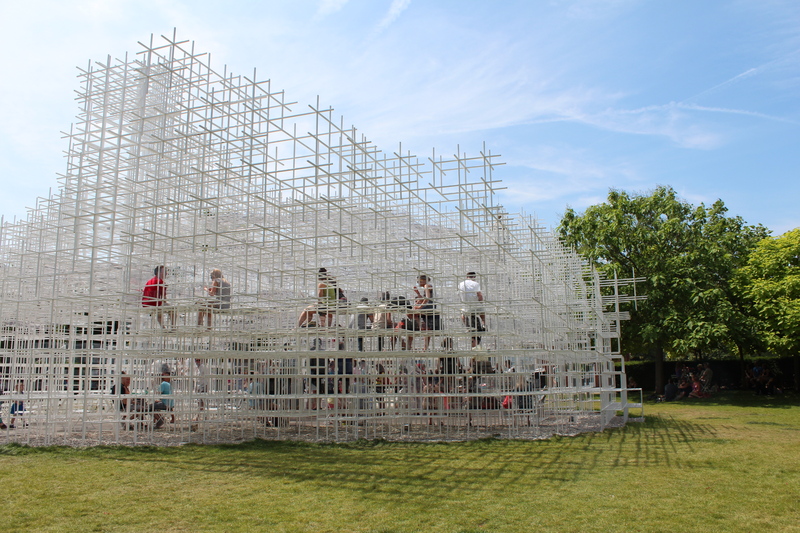 One of my favourite annual London events is the emergence of a brand new Summer Pavilion each year in the grounds of Kensington Garden’s Serpentine Gallery. 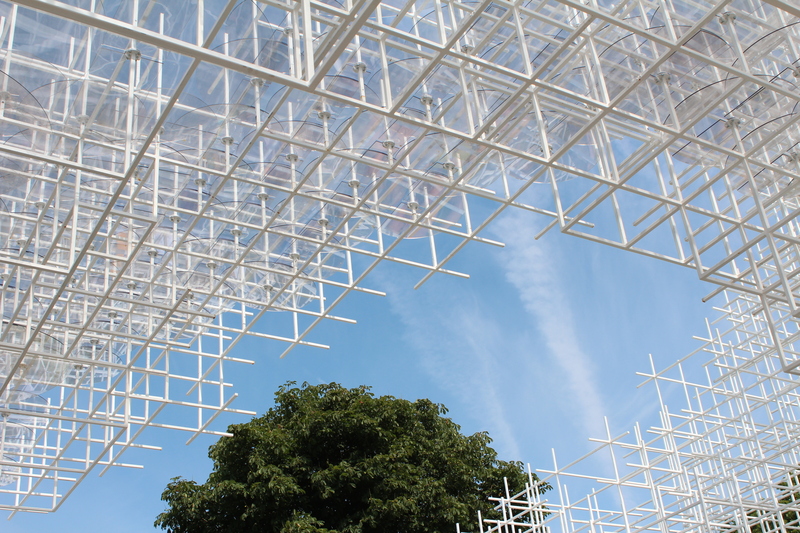 Japanese architect Sou Fujimoto provides the 13th iteration of this project, with his cloud-like grid of white steel poles arising from the green grass. 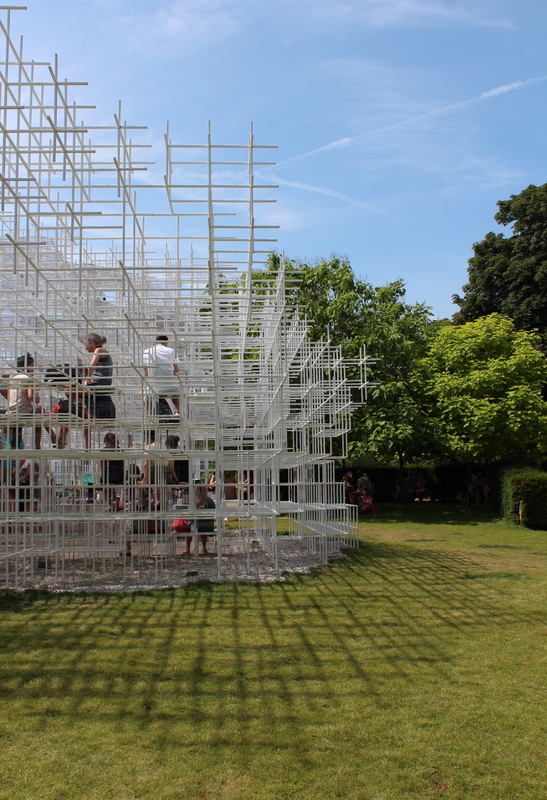 But this a cloud you can sit in, with transparent steps creating seats and producing an interactive feel to his installation – and also making visitors appear as if they are suspended in space. 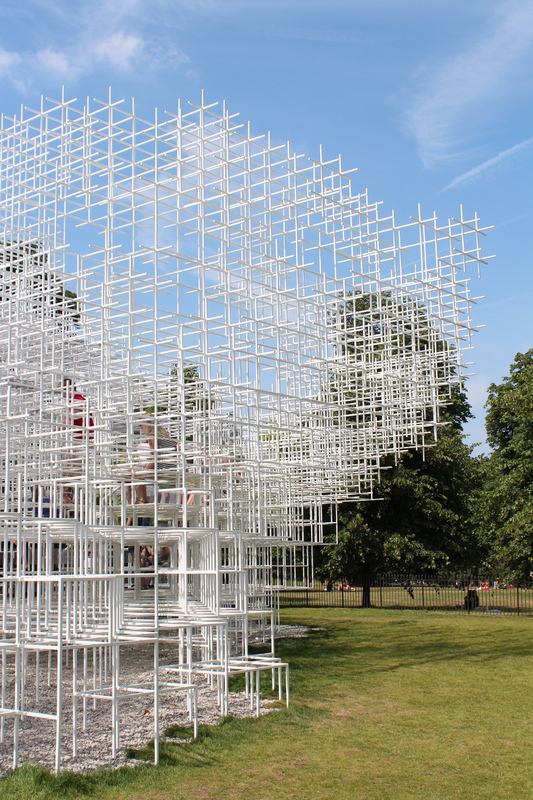 Fujimoto has spoken of how his installation contrasts the natural environment of the park with a ‘constructed geometry’ – and there is a decidedly digital look to the grids of which it is composed. This is the fourth Summer Pavilion that I have visited and photographed – to celebrate, this post will also look back briefly to the last three designs in this unique series. 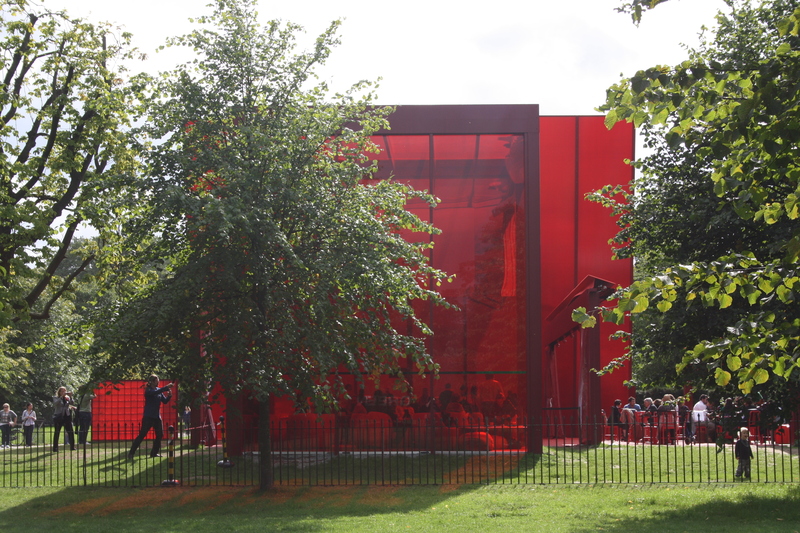 The 2010 Summer Pavilion by French architect Jean Nouvel (shown above and in the following two images) holds a special place in my heart given that it is pictured across the top of The Londonphile’s website. 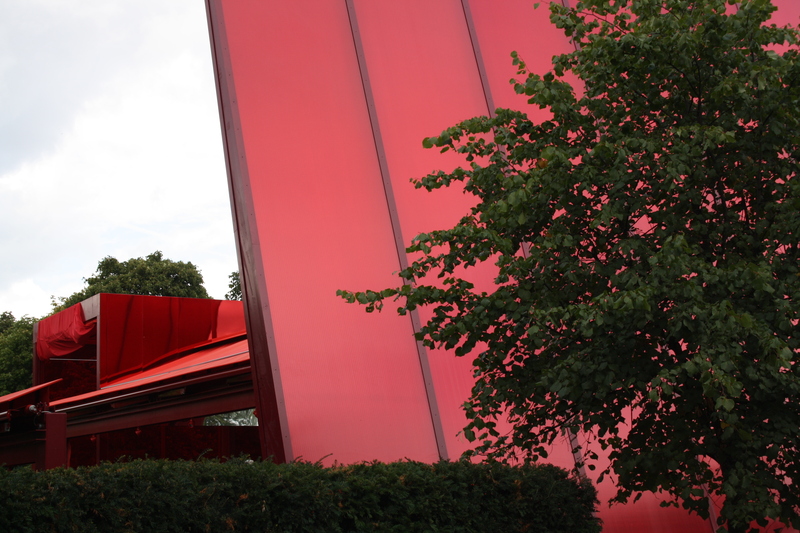 Yes, that green and red image I use everywhere was taken looking through the bright red, transparent walls of the pavilion through to the gallery beyond. 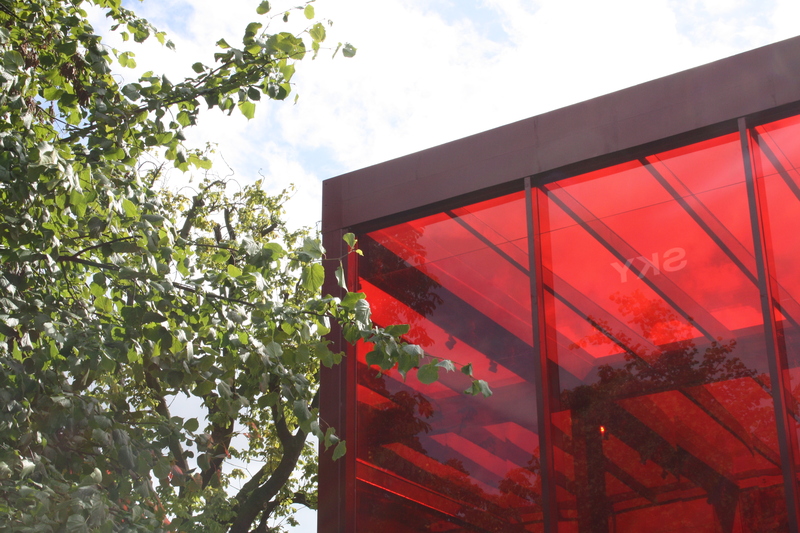 Like this year’s version, Nouvel’s design included a cafe inside the pavilion itself. 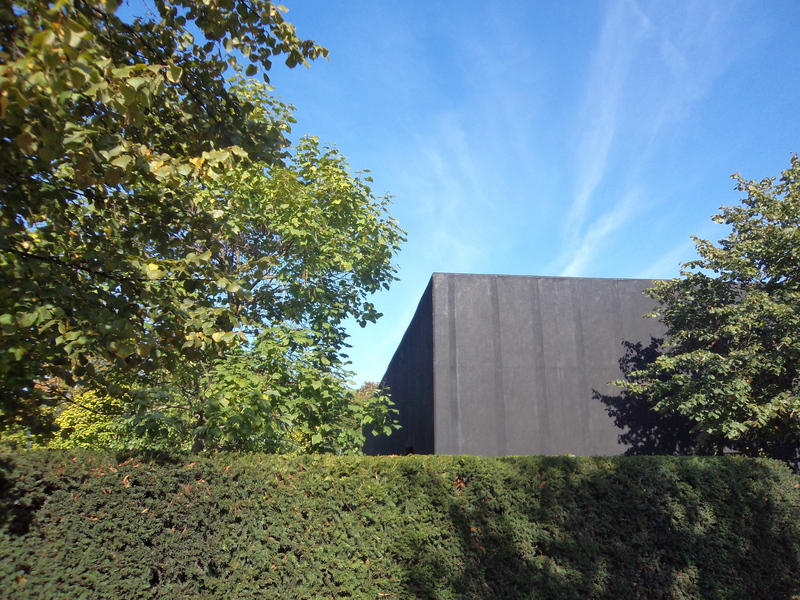 The black, almost forbidding exterior of the 2011 pavilion (shown in the three images below) – designed by Swiss architect Peter Zumthor – belied the fact that it contained a very pretty surprise on the inside, in the form of a fully planted garden. 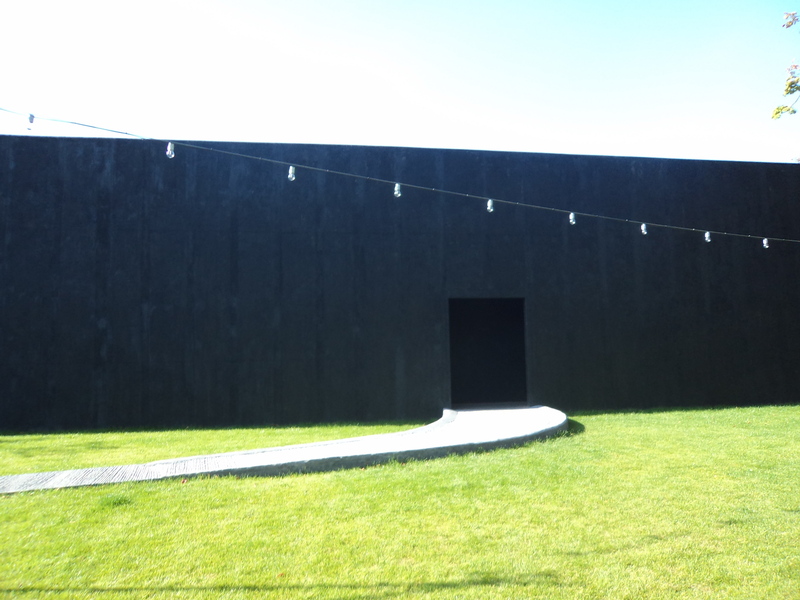 The garden was surrounded by seats, so visitors could soak up the tranquility. The 2012 design (pictured in the following three images) also boasted some pretty unique qualities. 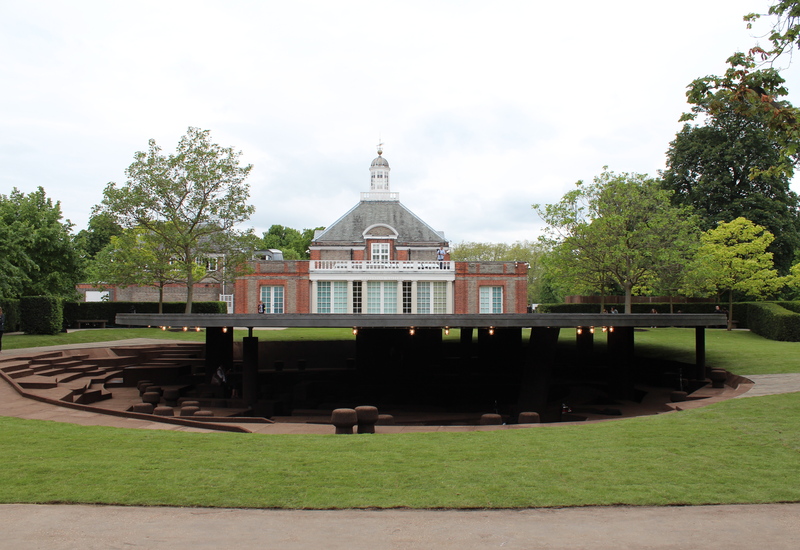 Ai Wei Wei designed the pavilion in conjunction with Swiss architects Herzog & de Meuron via Skype whilst under house arrest in China. 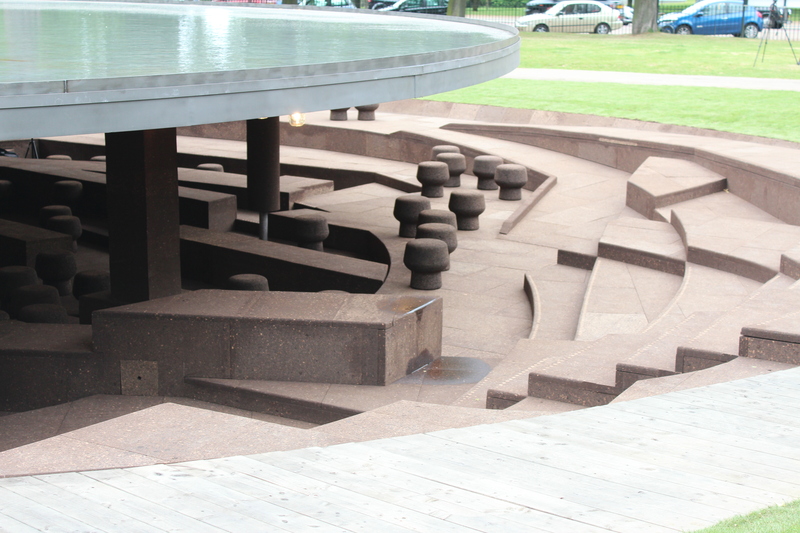 The design itself referenced all the previous pavilions by integrating their outlines and contours into the design of the floorplan, which was clad in cork. 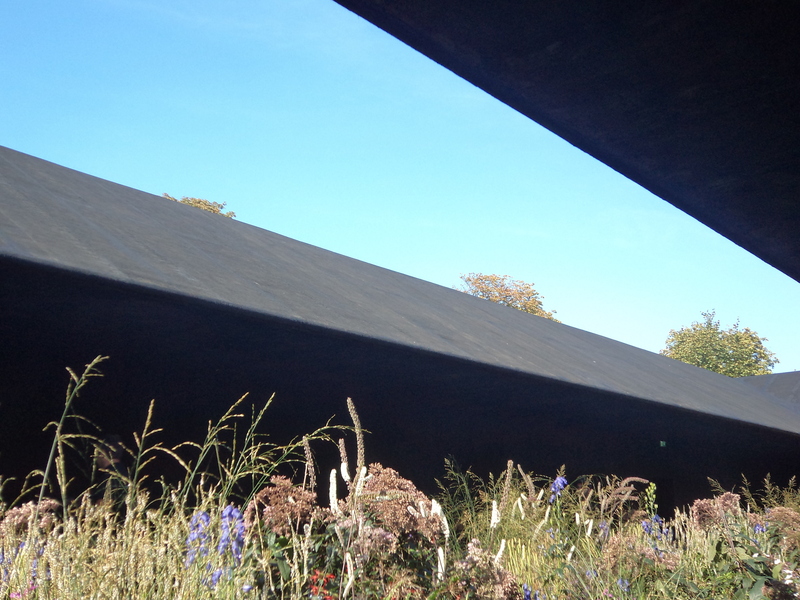 It also featured a rather lovely floating platform roof built across the structure. 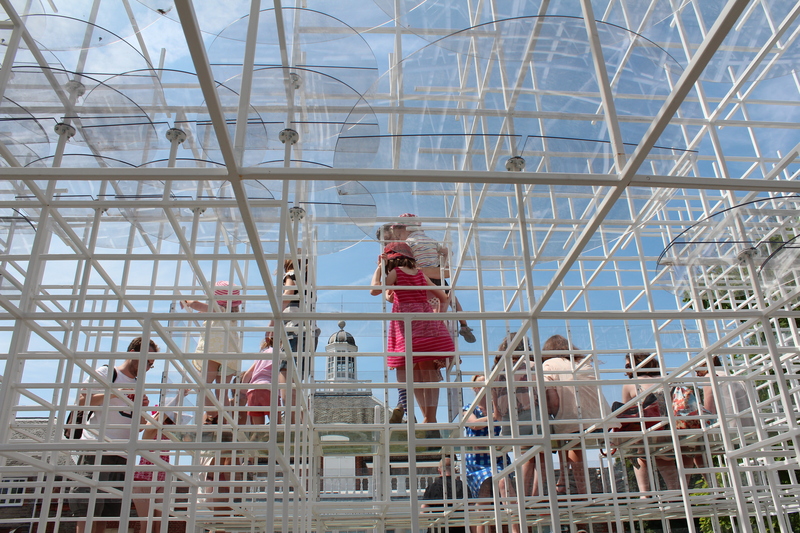 To return to the present day, the 2013 Summer Pavilion by Sou Fujimoto is open until 20th October. 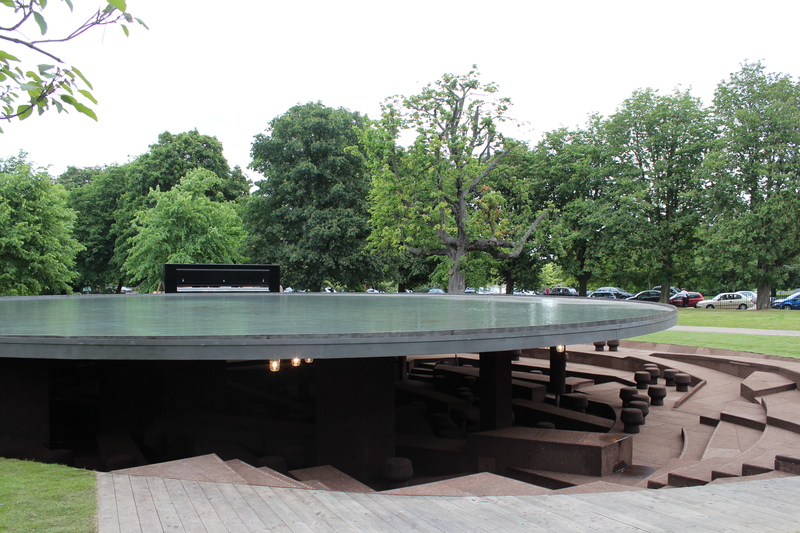 It can be found in the grounds of the Serpentine Gallery in Kensington Gardens, and is free to visit. This entry was posted in Architecture, Art, Galleries, Parks/gardens/open spaces and tagged Ai Weiwei, Herzog & de Meuron, Jean Nouvel, Kensington Gardens, London architecture, London temporary architecture, Peter Zumthor, Serpentine Gallery, Serpentine Gallery Summer Pavilion, Sou Fujimoto, Summer Pavilion by thelondonphile. Bookmark the permalink. 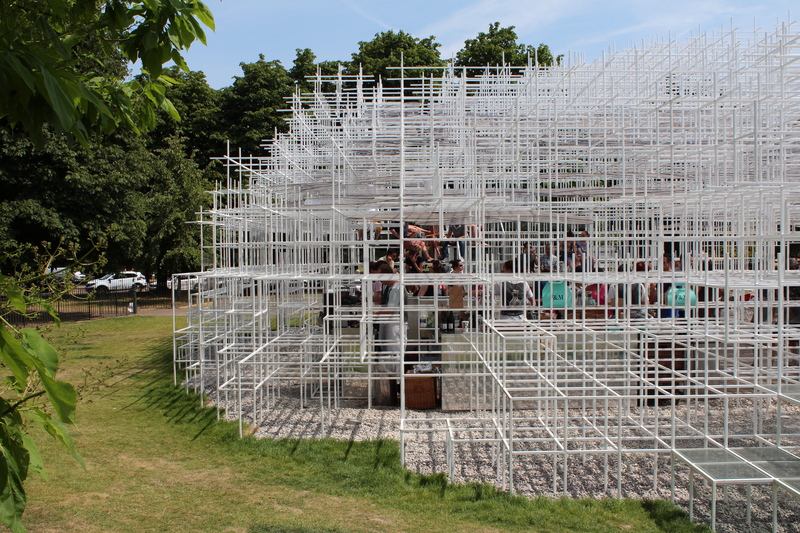 Did you see my drawings here http://dianajhale.wordpress.com/2013/07/11/architecture-as-forest-the-serpentine-pavilion-2013/? Always fascinating and always different! Very nice pictures. I nearly forgot about the previous installations, thanks for the reminder!